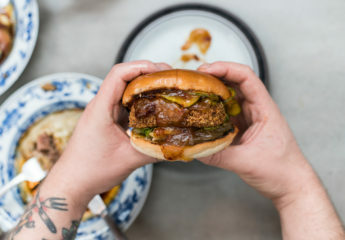 At the forefront of London’s food revival, Soho has some fantastic dining options – read our guide to the best restaurants in Soho. 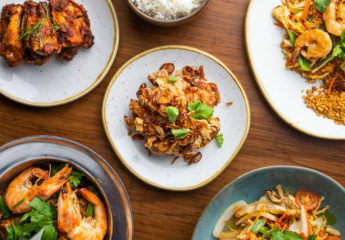 From intimate dining rooms to a 200+ cover brasserie and Michelin starred dim sum, read our guide to the best restaurants in Soho. 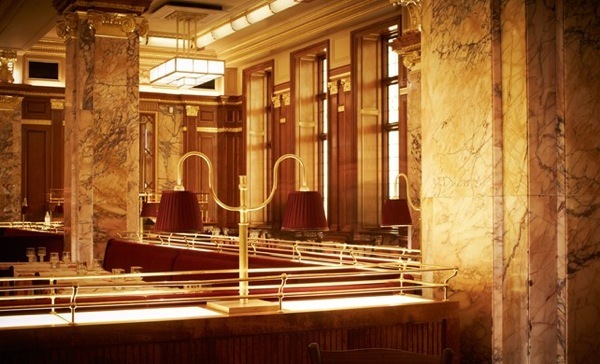 Brasserie Zedel is a large, bustling Parisian brasserie transported to the heart of London with over 200 covers, half of which are reserved for walk-ins. Open throughout the day, it offers great value French cuisine at remarkably low prices and is a great pre or post theatre stop. Stay a little later and visit The Crazy Coqs, an intimate cabaret venue with a mixed programme of live entertainment. 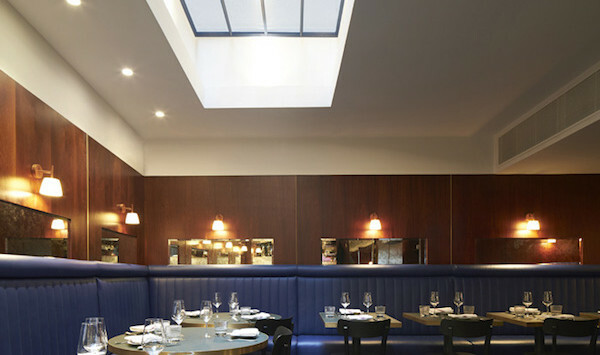 Dean Street Townhouse is located on Dean Street in Soho, serving a classic British menu in a cool, buzzy setting. The room combines vintage armchairs, cut glass chandeliers and wooden floors and the walls are scattered with contemporary British art. Try the roast chicken for two to share or perch at the bar and enjoy a cocktail or two. We can’t think of many places in London we would rather visit for dim sum than Yauatcha in Soho. 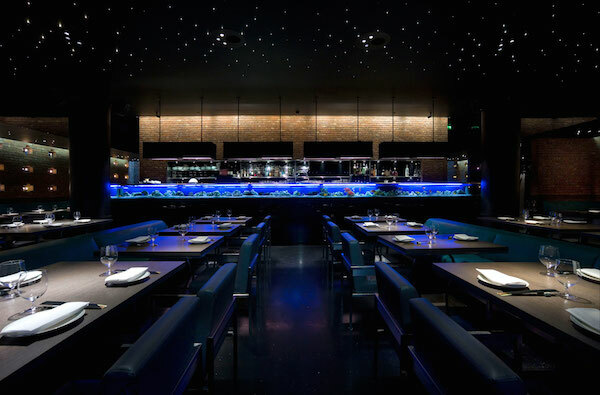 Launched in 2004 by the Hakkasan group, Yauatcha is a Michelin-starred dim sum teahouse. In addition to the fantastic dim sum menu, it offers over 60 types of tea. Make sure your try the exquisite venison puffs. 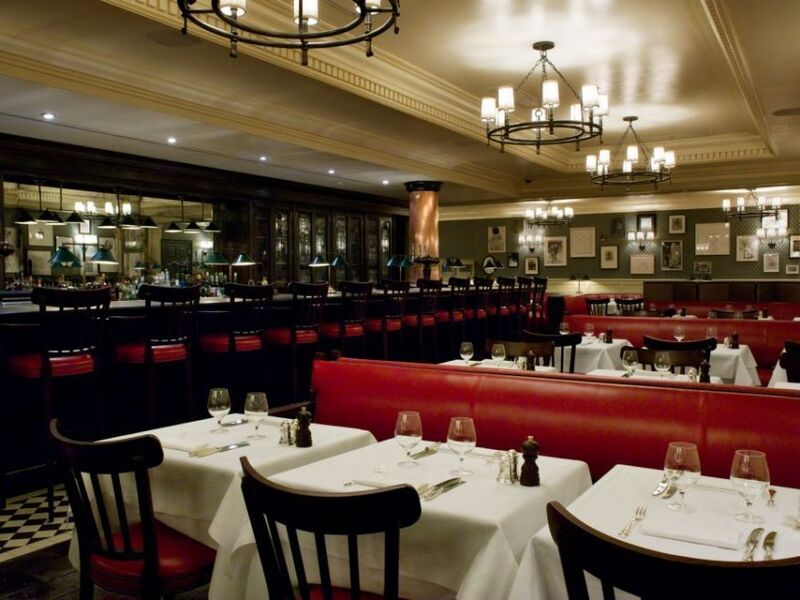 Celebrating its 20th Anniversary this year is Soho favourite Randall & Aubin. Sitting on Brewer Street it’s not an exaggeration to say this is a Soho institution and is fantastically camp (you can’t miss the huge disco ball in the restaurant and Edith Piaf on the stereo) while still managing to serve excellent food. Known for its classic French / British seafood the restaurant is a relaxed but elegant space that was a Butcher’s back in Victorian London. Staff are fun and friendly and very well-informed, particularly on the wine list. Food is simple and understated: we enjoyed the tuna carpaccio and calamari to start, followed by the beef rib eye and lobster for mains. 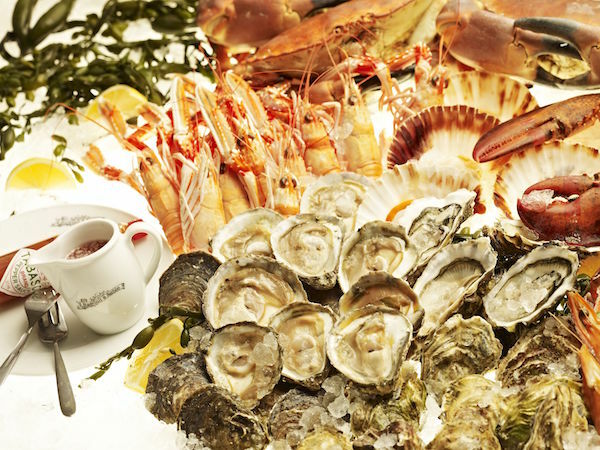 The counter looking out over Brewer Street is the best seat in the house and there can’t be a better way to enjoy a bottle of fizz and a platter of Fruits De Mer. 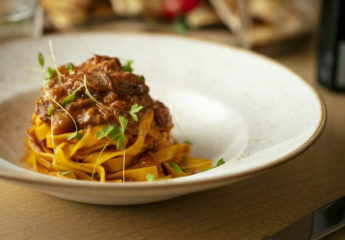 Bocca di Lupo showcases the best of Italy with a menu that features food and wine from all across Italy’s regions, broken down by region on the menu. 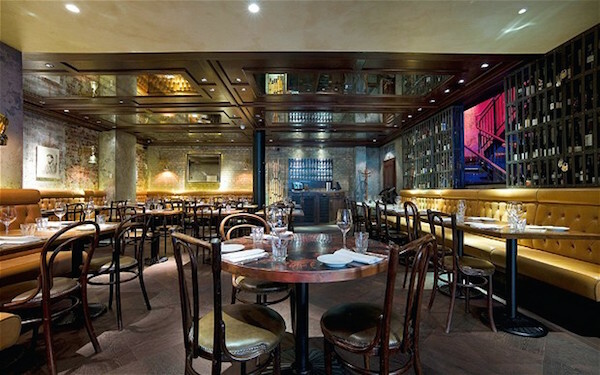 The buzz and the glamour of the restaurant is the perfect pre-theatre dinner location and it is also one of our favourite Italian restaurants in London. 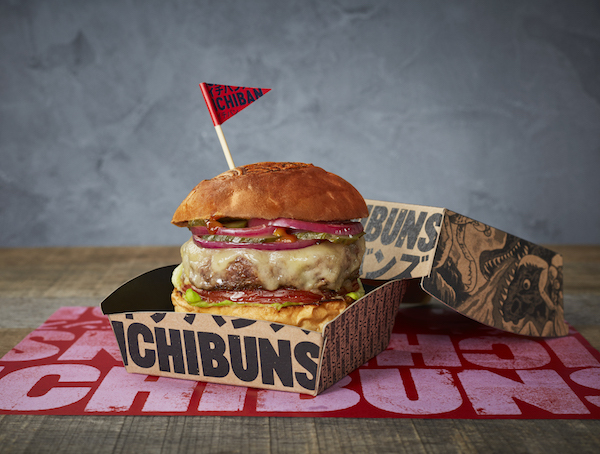 Ichibuns is a fast food restaurant serving dishes inspired by the cuisine of Hokkaido, located on Wardour Street in Chinatown. One of the signature dishes is the ICHIBAN burger made using a Wagyu beef blend served in a unique sake yeast bun. Other favourites include the rich and tasty ramen made using a vegan stock and hand rolled maki. The three-story restaurant is decorated in a kitsch and eclectic Tokyo rock-and-roll style inspired by both the 50s and 60s Japanese subcultures and the quintessential American diner. 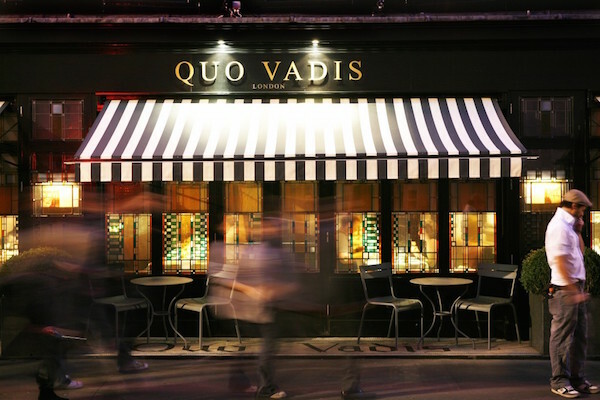 Located in a prime position on Dean Street in Soho, Quo Vadis restaurant occupies the ground floor of the restaurant, while the rest of the building houses the Quo Vadis Members’ Club. With Jeremy Lee at the helm, dishes display a flair and a simplicity that has become associated with the celebrated chef. While the stylish restaurant often hosts the good and the great of Soho, it manages to retain a relaxed and unpretentious atmosphere. 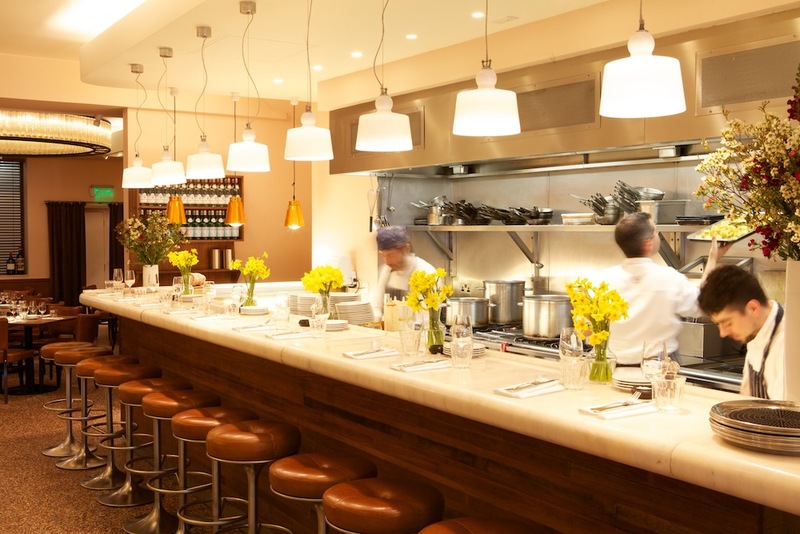 Barrafina serves classic and contemporary tapas from all regions of Spain, taking the best raw ingredients and preparing them with minimal fuss. 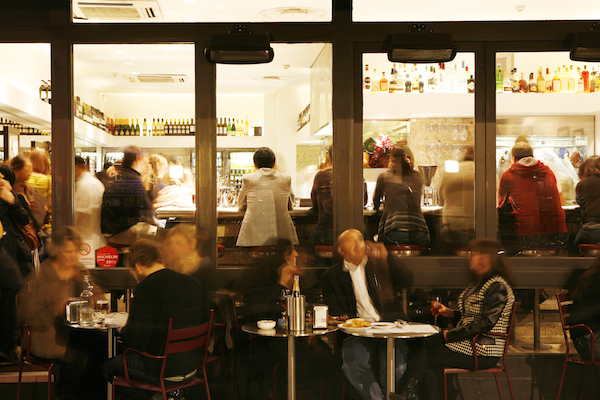 There is a walk-in only policy, but diners come back again and again – proof that the wait for a seat is worth it. 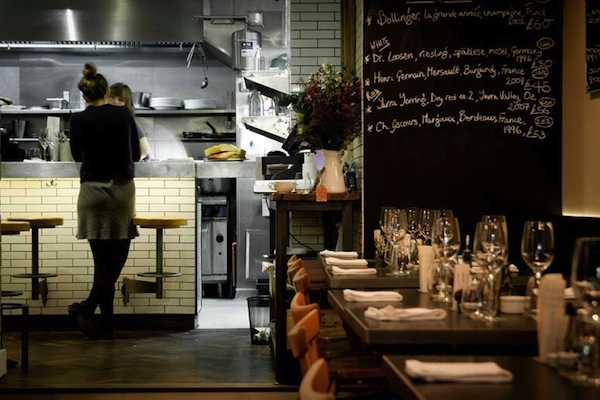 Sit at the bar to enjoy the energy and buzz created from watching the chefs at work at one of the best tapas restaurants in London. The Palomar serves the food of modern day Jerusalem with a heady mix of influences from the rich cultures of Southern Spain, North Africa and the Levant. The restaurant has become a hit with Soho diners as much for its lively atmosphere as for its sumptuous, unusual and delicious food. Make sure you try the ‘Kubaneh’ (Yemeni pot baked bread served with tahini & grated tomatoes) – delicious! 10 Greek Street, located behind an unassuming entrance on Greek Street, is a relaxed but buzzy restaurant with excellent cooking and a menu full of imaginative dishes that change regularly. Bookings are taken for lunch but dinner is for walk-ins only, making 10 Greek Street a contender for one of London’s best no booking restaurants. 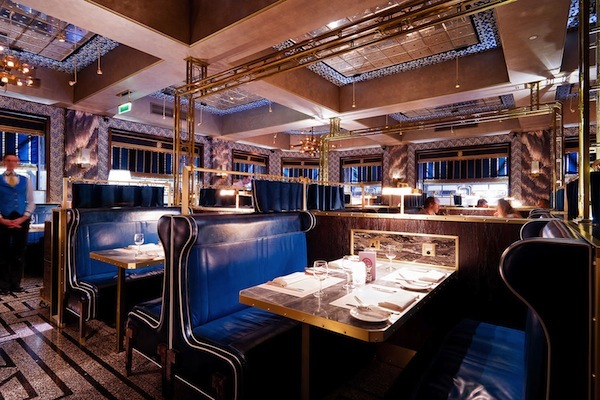 Bob Bob Ricard oozes elegance and glamour with one of the most striking dining rooms in London. The design takes inspiration from the dining carriages of the Orient Express with tiered booth seating, each with its own “Press for Champagne” button. The mainly British menu also has some Russian dishes and the cocktail list is fabulous. Casita Andina is inspired by Peruvian ‘picanterias’, which are family-run, traditional restaurants that serve the local community and travellers. 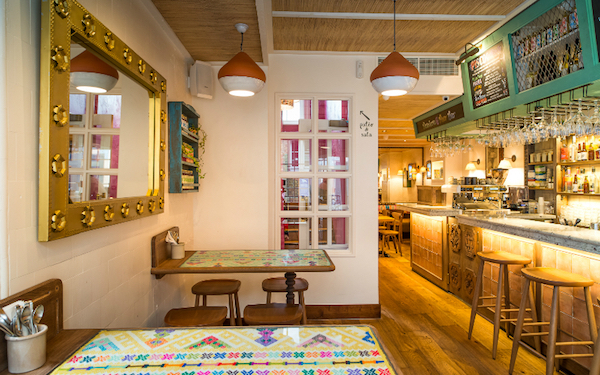 From the founder of Ceviche, another Peruvian restaurant in Soho, Casita Andina is cute, cosy, intimate and serves excellent food. Try the Maca lamb loin with olluco Andean potato and spicy cancha powder, the classic and tomato ceviches and the watermelon and quinoa salad. Casita Andina is a great spot for a first date! 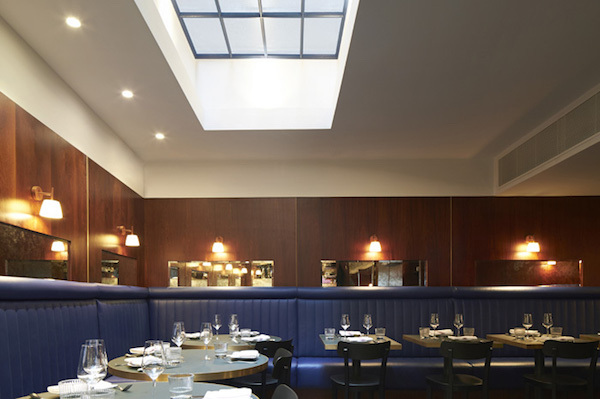 Spuntino is my favourite of Russell Norman’s Polpo group with a menu and design reminiscent of New York with its various sliders and Mac’n’Cheese dishes. Spuntino makes a great destination for a late night bite in Soho where you can sit at the counter with your Negroni and be thankful for the low lighting and a clientèle that won’t judge. Specialising in Chops and only chops, this is a new Soho favourite. 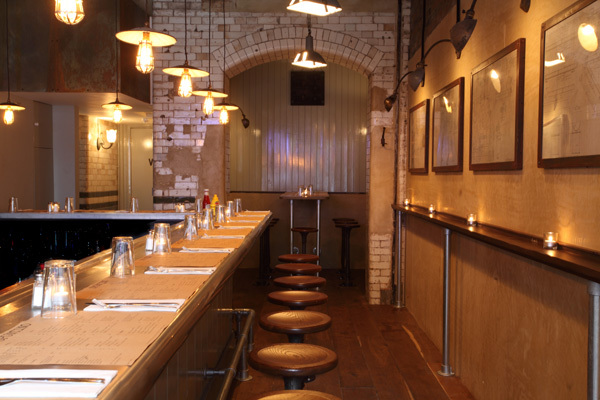 The founders of Blacklock used to work for the Hawksmoor steakhouse group so the quality of the meat is top-notch. There are a number of chop options to choose from, but we suggest the best way to go is ‘all in’ – a mix of lamb, pork and beef chops served on a char-grilled flat bread that soaks up all the juices – beautiful! Blackhouse also offers one of my favourite Sunday roasts in London. Another restaurant from Jason Atherton’s empire, this time on Poland Street in Soho. 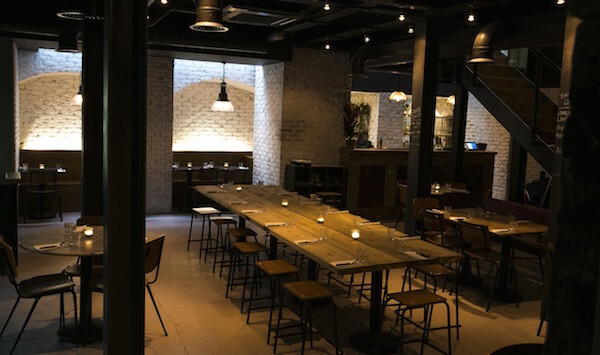 The ground floor dining room’s décor features exposed brick walls, leather banquettes and restored furniture, while the kitchen on the lower ground floor is also home to ‘Employees Only’, the private dining room with 8 counter seats overlooking the kitchen. The menu at Social Eating House reads like a modern bistro, and I love the ‘Jars’ to share as a pre-starter. If you liked this guide to our favourite Soho restaurants, you may also like our guide to the best Japanese restaurants in London, our guide to the best Italian food in London or some of our favourite restaurants in Covent Garden.